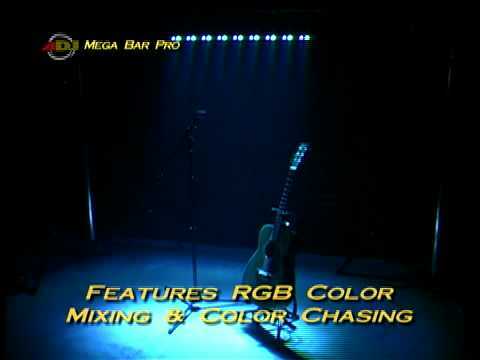 The American DJ Mega Bar PRO is a unique LED wash bar that also doubles as a color chasing bar, instantly adds energy to any application. For the biggest impact, link units in multiples to take full advantage of Mega Bar Pro’s built-in color chase, strobe and color mixing effect programs. Considering purchasing the American DJ Meg Bar Pro? Have questions? Ask people who've recently bought one. Do you own the American DJ Meg Bar Pro? Why not write a review based on your experience with it. 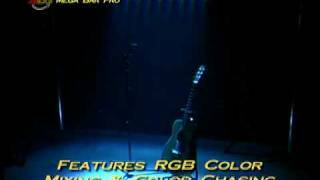 Seen a video for American DJ Meg Bar Pro online or have you own video? Check out American DJ Meg Bar Pro on DJkit.com!